Scientific Publishing Services Walkin Drive in Chennai | 22nd to 27th May 2017. Scientific Publishing Services is inviting applications from Graduate students. Job aspirants who are interested in building their career in Chennai can attend for Scientific Publishing Services Walkin Recruitment on or before the last date i.e. 27th May 2017. 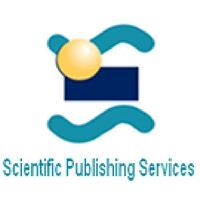 Scientific Publishing Services is conducting freshers walkin drive for 30 Job openings in Chennai. Aspirants who had completed BE, B.Tech, M.Sc, MA, BA, BCA, B.Sc with (maths, chemistry, botany, zoology, physics, biotechnology) and above 55% aggregate in all academic years are more preferred. Applicants can refer your friends as well if they match with above criteria. 2017 passed outs can attend the interview after getting final semester results. So contenders have to start their preparation by downloading the Scientific Publishing Services Interview Questions and SPS Model papers for to score good marks in the test. To know more details about Scientific Publishing Services Careers 2017 contenders can check All India Jobs frequently for accurate information. Familiarize with the respective publisher’s style sheet, guide, manuals. BE, B.Tech, M.Sc, MA, B.Sc, BA, BCA Candidates completed B.Sc with (maths, chemistry, botany, zoology, physics, biotechnology) are more preferred. Should be flexible to work with shift timings( rotational). Should be above average in Communication both in speaking and writing. Should be interested tin working with E-publishing (nonvoice). Note: 2017 passed outs can attend the interview after getting final semester results. SPS was founded in 1995 as a joint venture between Science+Business Media, Germany and Sharad Wasani, India. Sharad Wasani is a pioneer in the publishing outsourcing business and introduced this concept more than 30 years back. It was Started with one office and 54 employees SPS today operates from six offices with around 3300 staff. We started by providing pre-media services for STM (Science, Technology, and Medicine) book and journal publishers. Over the years it has evolved into one of the top solution providers for the publishing industry around the world. Job seekers who are interested in attending Scientific Publishing Services Walkin drive which will be held in Chennai from 22nd to 27th May 2017 can read this entire post for accurate information. Contenders have to check the details before going to the venue. For any other doubts, it is highly appreciable if candidates check Official notification. Landmark: Behind Taj Hotel (Krishnama street) (or) Behind Nungambakkam police station (Noor Veerasamy lane). Hard Copy of Latest CV.